Linkin Park have repeatedly kept missing the mark while searching for their musical foothold since 2000’s Meteora. 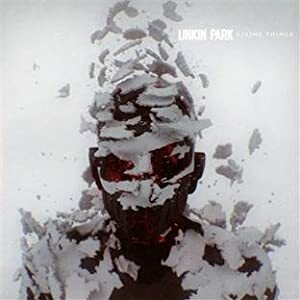 Now the nu metal rap rockers return with Living Things, which is undeniably the band’s most powerful and best effort since ruling the charts with the breakthrough success of Hybrid Theory. Co-produced by Rick Rubin and Mike Shinoda, Living Things is the abstergent musical submission which bridges the gap between Linkin Park’s musical past and present. From the opening rap refrains of “Lost In the Echo,” it’s immediately apparent Linkin Park have refocused their songwriting efforts and at long last delivered a rock-hard album, which fulfills the looming promise of lead single “Burn It Down.” Chester Bennington’s vocals and Shinoda’s rapping have never sounded stronger. The wait is finally over for Linkin Park’s legion of devotees who’ve been holding their breath for the band to deliver another album that comes close to Hybrid Theory. Singer-songwriter Matthew Perryman Jones returns with his third full-length and first album since 2008’s Swallow the Sea. The Levittown, PA transplant and current Nashville resident’s latest was inspired by Vincent Van Gogh’s letters to his brother (“O, Theo”), Federico Garcia Lorca’s idea of Duende (a heightened sense of emotion, expression, and authenticity in music), and the writings of Persian poet and philosopher Rumi. Although you may not instantly recognize his name, you will undoubtedly know his voice, as MPJ’s songs have been featured in numerous television shows including Grey’s Anatomy, Pretty Little Liars, and One Tree Hill, just to name a few. 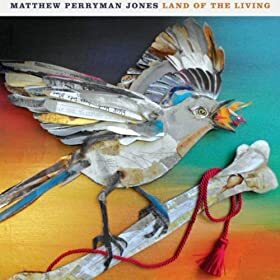 I first discovered Matthew Perryman Jones’ music back in 2007 when I heard his poignant “Save You” featured in an episode of ABC Family’s sci-fi teen drama Kyle XY (don’t judge), and have continued to feverishly seek out his peerless pantheon of work since. Land of the Living was recorded in Round Top, Texas and funded by online donations from Jones’ loyal fan base, but the only things that really matter are the evocative, majestic soundscapes and lyrically substantive material found in the 10 tracks presented here. After one listen, you’ll begin to ponder why Jones isn’t already a major star? Perhaps his work is too severe or cerebral for pop radio’s beat dominated airwaves? Whatever the reasons, music purists will find it endlessly rewarding and worthwhile to grab a copy of his latest melodic odyssey. From the wrenching opener “Stones From the Riverbed” (“Silently tracing the cracks through the chaos”), to “Waking Up the Dead” (“I wanna dance on fire and be born again), through the closing title track (“I am coming to life/Light is breaking through”), Matthew Perryman Jones rhapsodizes rousing lyrics wrapped within a filmic musical flare equaled by few composers today. MPJ’s songwriting acumen could easily be used as a musical template to demonstrate how less can be so much more. Land of the Living sounds cinematic and slowly worms its way inside your brain, feasts upon your emotions and ultimately burrows down into your soul. If you can resist this record you may want to reassess your musical edification, or at the very least, check to see if you still have a pulse.